Better than a face lift, a third of the price, and no risk! 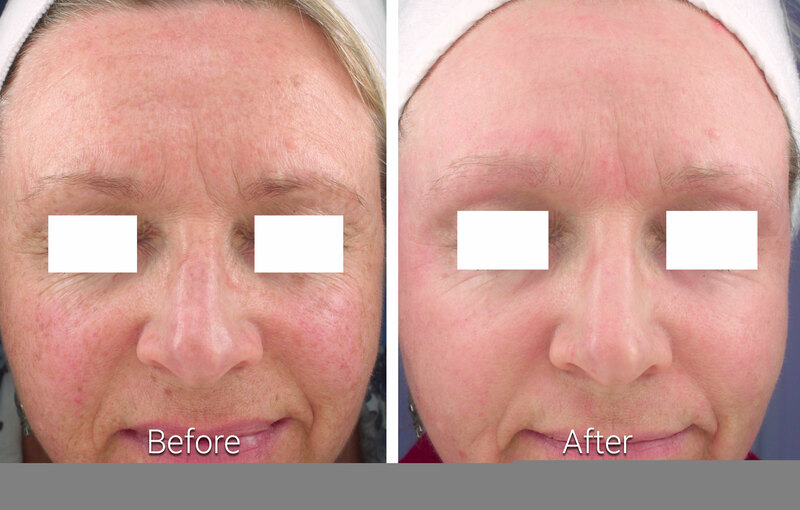 Fractional CO2 resurfacing has proven to be extremely effective in treating age related skin laxity, wrinkles, pigmentation, scars and many other conditions. The newest fractional CO2 laser to hit the market is the powerful yet versatile CO2RE from Syneron Candela. The CO2RE features dual laser waves that can be adjusted to penetrate the skin at both superficial and deep levels simultaneously while cleaning,clearing and resurfacing the skin at the same time. The treatment is very safe, fast and effective, resulting in brighter, younger and fresher looking skin. 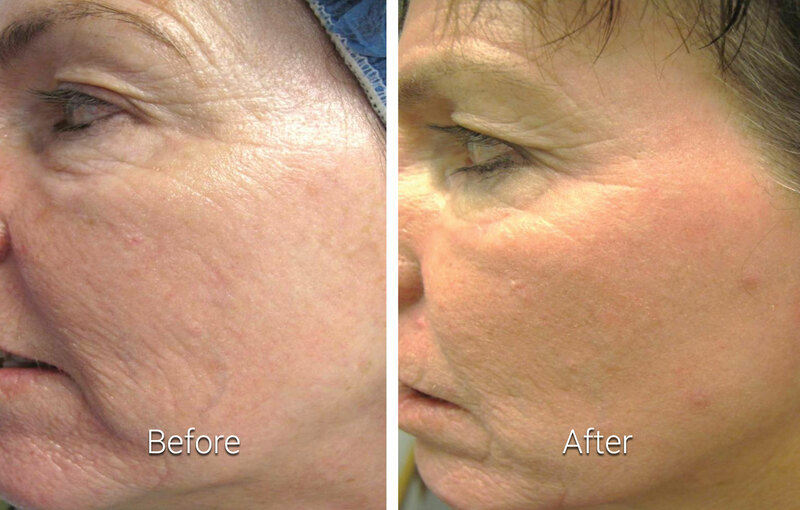 Fractional lasers treat a fraction of the skin at a time. Essentially the laser drills a multitude of tiny holes into the skin; vaporising what it comes in contact with and creating miniature wounds in a shape of columns forcing the tissue to heal. The skin between the columns remains intact. This process of “controlled trauma and wound healing” induces a rapid regeneration of the treated skin. The replacement of the old skin with new healthy skin leads to reduction of previous pigmentation, wrinkles and laxity improving the general skin quality and appearance. CO2RE is the latest generation fractional laser system that enables practitioners to treat the skin’s surface effectively and with excellent precision. It targets from superficial to deep dermal layers in addition to performing traditional CO2 resurfacing. The depth of the penetration of the laser beam depends on what is being treated and where. The multiple settings allow an adjustment of the energy levels, depth and the fractional treatment of the area to be treated. CO2RE also has the ability to treat both superficial and deep layers of skin simultaneously whilst providing maximum precision and control of depth of ablation. 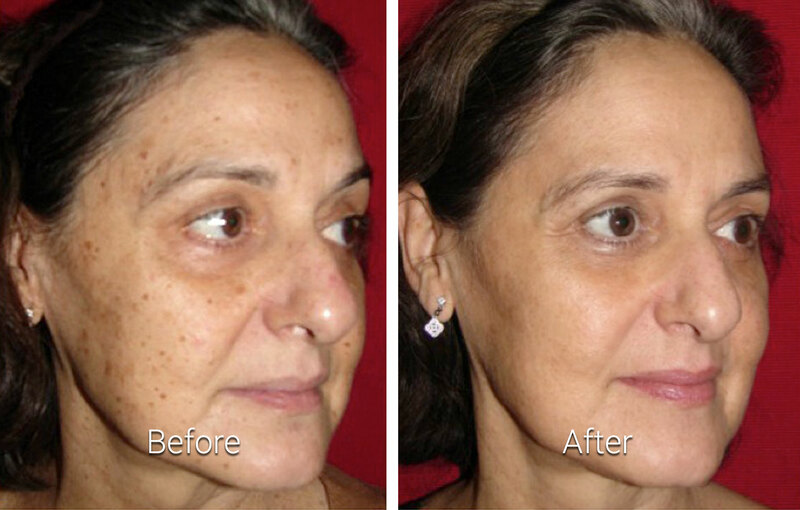 The procedure involves skin resurfacing with the use of a CO2 laser. First your skin will be cleaned of make up (if required), surface debris and excess of sebum. Then an anaesthetic cream will be applied to the treatment area to make the skin numb allowing for the procedure to be comfortable and virtually painless; although sometimes some small discomfort may be experienced. Generally the time required for the treatment is determined by the surface of the treated area for example facial treatment can take as little as 20 minutes. One of the most positive impacts of this treatment is how safe it is and that there is virtually no contraindications to treatment. You will usually find a significant improvement after only one treatment. In the days after the treatment your skin will gradually look softer and smoother. Age spots will start getting lighter and skin texture will start showing signs of regeneration. The fibroblastic response will continue for several months post treatment but most will see a significant improvement within a month. This will then continue for 4-6 months. For more advanced signs of ageing such as deeper wrinkles, severe skin laxity and marked hyper pigmentation two or three treatments may be required to achieve the best result. The results of fractional resurfacing are similar to those of surgical procedures lasting up to 5 years. However, it is recommended to have a light treatment each year in order to maintain the skin enhancing results by delaying the ageing process. There are factors that will determine how long you can expect the results to last such as your health, age and how well you care for your skin. Immediately after the procedure you can expect a sensation similar to sunburn such as burning, some redness and swelling which may last up to several hours. These effects depend on the intensity and depth of the treatment. 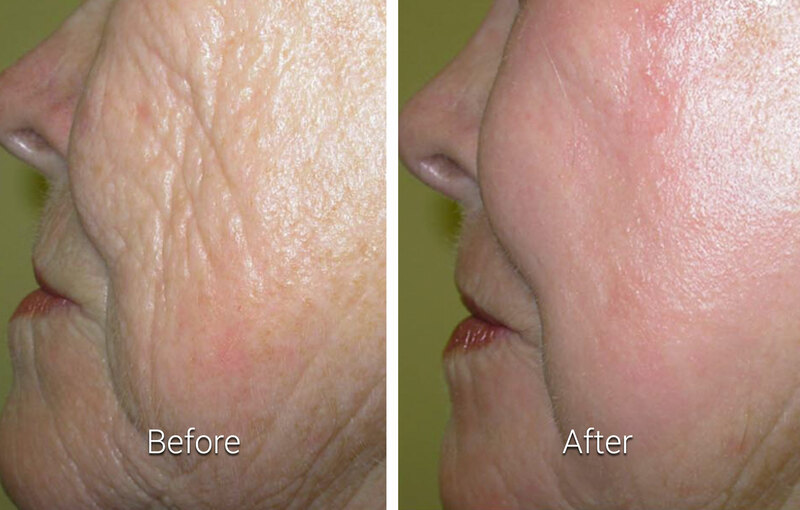 In the days following treatment you will experience skin tightening and peeling of dead skin from the treatment area. This is a natural exfoliation process that may last seven to ten days. A specialist after care pack is provided by the clinic along with useful skin care tips to prolong your results. Downtime ranges from 7-10 days. A personal contact number will also be supplied so you can contact us directly regarding further post treatment advice; we will also make a courtesy check up call within one week of your treatment to check on your progress. Finally a post treatment review is carried out at around two weeks. What to expect with your Fractional Resurfacing Treatment? The Women’s Clinic we provide a professional and high quality service carried out by experienced laser and medical practitioners. During the consultation we will carry out a full skin assessment and photograph the client pre and post treatment to demonstrate the success of the skin treatments. Depending on your specific requirements you will be given a treatment plan for all clinic treatments as well as skin care advice. After the treatment cooling measures will be applied for approximately 10-15 minutes. The client will leave with an after care pack with post treatment instructions for products to be applied for the next 7-10 days. A personal contact number will also be supplied so you can contact us directly regarding further post treatment advice; we will also make a courtesy check up call within one week of your treatment to check on your progress. Finally a post treatment review is carried out at around two weeks. Lines, wrinkles, loose ageing sun damaged skin on the face, neck & décolleté. Stretchmarks on stomach, mummy tummy, legs, arms & breasts.